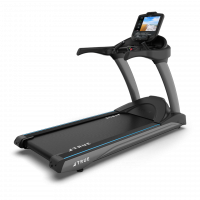 With a combination of the latest technology options and the reliability of TRUE’s premium warranty, the C650 treadmill provides the performance and efficiency needed for your commercial facility. Patented items like HRC Heart Rate Control® and TRUE’s low-impact Soft System® allows your users to have a first-class exercise experience. In addition, a variety of consoles are available to provide multiple levels of features, technology, and asset management. 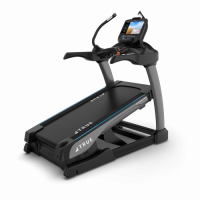 We designed the new Star Trac 8-TRx Treadmill with the most solid foundation you could have, more than 20 years of treadmill superiority.